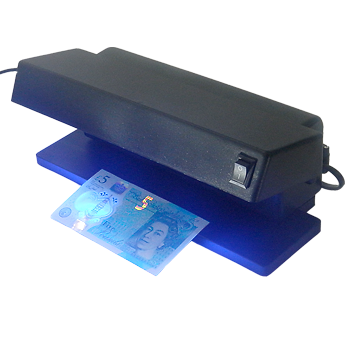 UV counterfeit note detector. 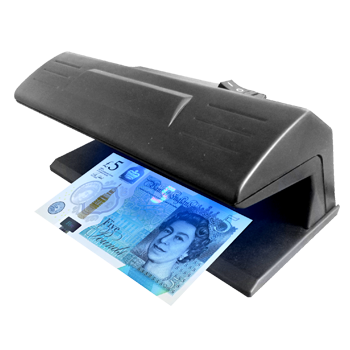 Compact, stylish ergonomic design with robust base. 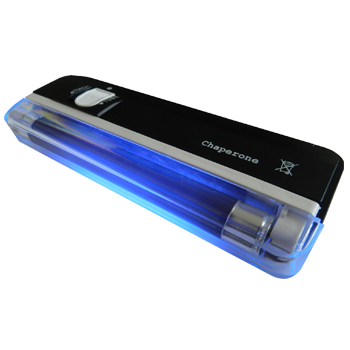 Powerful 9 watt UV bulb giving off 125% more detection power than the standard 4 watt detectors. Average life span of bulb - 1,000 hours - repeated switching on/off will significantly reduce life span.